The 65 beautifully illustrated cards in this deck will create a powerful bridge between your psychic abilities and the ancient knowledge and meanings of the tarot; and will help you develop intuitive insights about all areas of your life, including love and relationships, business matters, and even career changes. 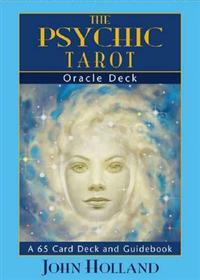 This fascinating deck will work for you whether you’re a novice or are already in tune with your psychic abilities. 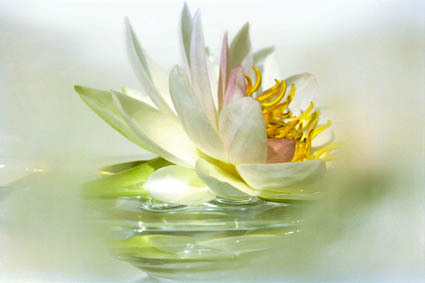 In the accompanying guidebook, psychic medium John Holland imparts techniques that he’s practiced himself and taught in his workshops, relating to colors, symbology, shapes, words, card spreads, divination, numerology, energy centers, imagination, and more. By using the cards, you’ll be able to incorporate John’s techniques when you do a tarot reading for yourself or others. 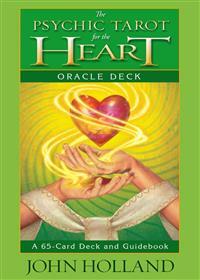 The Psychic Tarot for the Heart Oracle Deck, with its accompanying guidebook and 65 beautifully illustrated cards, was created to assist and guide you in matters of the heart, especially the different relationships in your life. Relationships of all kinds are really about you! They will often reflect back what you need to see and the lessons you need to learn. By using this deck and the techniques that psychic medium John Holland imparts, along with the wisdom of the tarot, you'll begin to understand and look at relationships - past, present and future - with an intuitive eye. This deck is not just for lovers! These cards will resonate with anyone and add clarity around all types of relationships, including the most important one of all ...the relationship with your self.